The President of the European Table Tennis Federation Ronald Kramer visited the Czech Republic on 2017 World Table Tennis Day to participate in the opening ceremony of the World MiniPingPong Festival in Ostrava. Two Czech table tennis legends featured centre stage at the Triple Hall Karolina in Ostrava as Milan Orlowski and Jindřich Panský met face-to-face in an exhibition match. Around 200 people packed into the venue to witness the match between Milan Orlowski and Jindřich Panský, while Petr Korbel and Ivan Karabec also made appearances on the table as the spectators were treated to a breathtaking show. 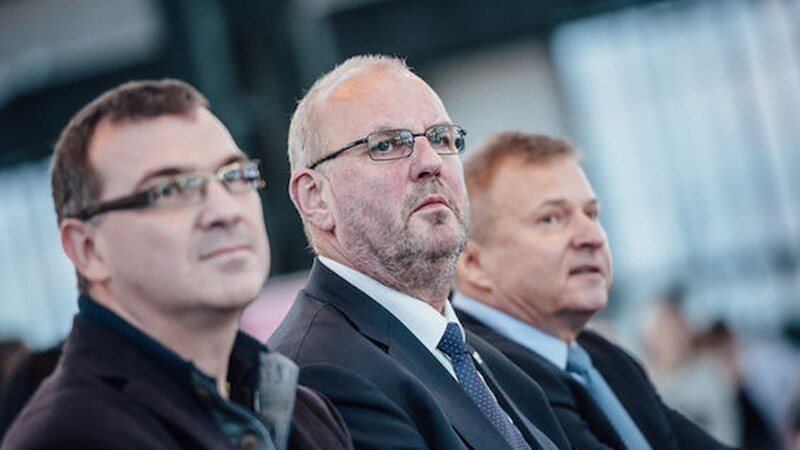 Ronald Kramer, President of the ETTU was in attendance in Ostrava and was delighted with the Czech Table Tennis Association’s hard work in organising the event. The 2017 World MiniPingPong Festival concludes on Saturday 8th April with professional table tennis players and fans alike taking part in a tournament to draw the event to a close.